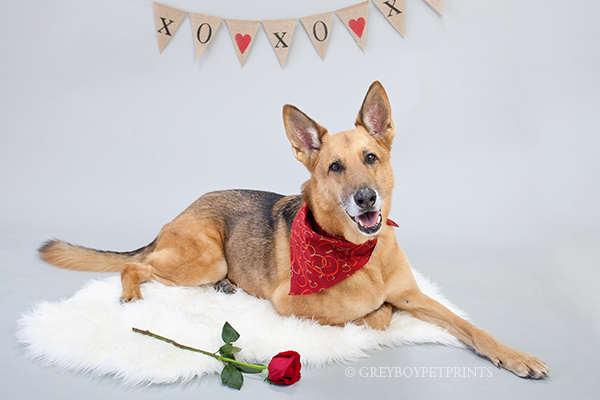 Who is your furry Valentine you’d like to remember forever with a Valentine Pet Portrait? 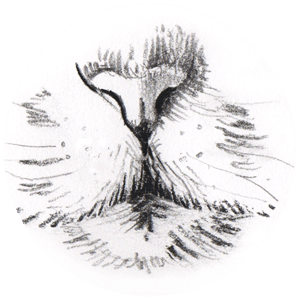 This weekend we will return to Orange County, CA Aliso Viejo’s Pet Suites:a very nice pet boarding, doggie daycare and grooming place that is out of this world in facilities and service! 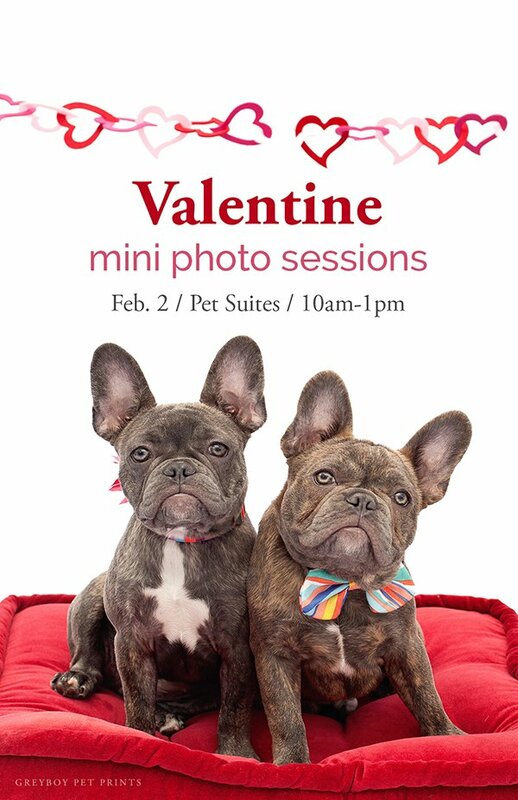 On Feb. 2 between 10am and 1pm, we will provide 15-20 minutes quick, yet relaxed, mini pet portrait sessions. It’s a fun party, as immediately after each session, we pull up the dog photos and ooh and ahh at the charm these doggies pull off! 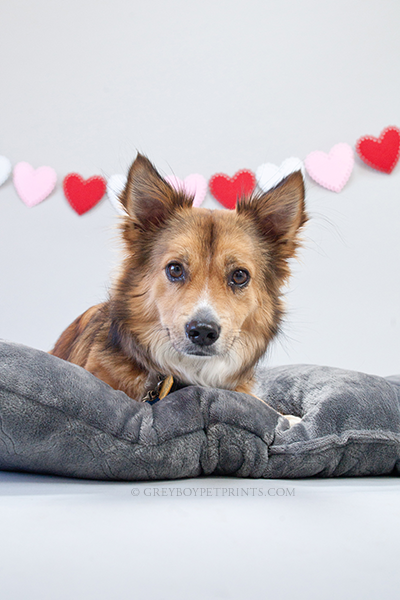 Pet parents get to choose their favorite Valentine pet portraits and order artwork to be delivered just in time to enjoy for Valentine’s Day (and enjoy every Valentine’s Day thereafter)! 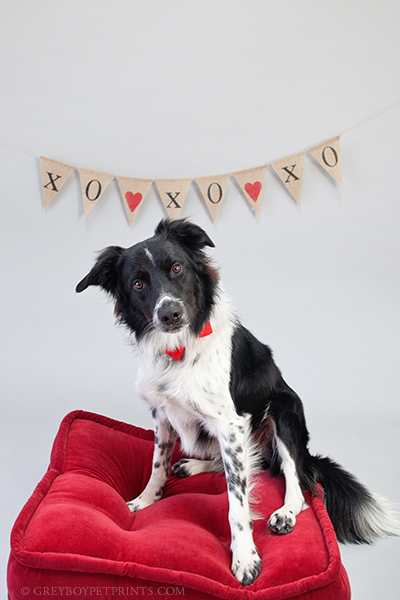 Last year, we photographed these lovely pups to spread some Valentine cheer with art for family and friends! Check out Shepherd, Red (short for Redford! ), with his single rose. Such a handsome fella! Every dog is different, some wanting to stay super close to mom, while some think it’s a party just for them and want to romp and play! No matter the temperment, with patience and compassion while photographing, we always end up with some cute photos to cherish! And, yes, bring their favorite toy or fun clothing to wear! 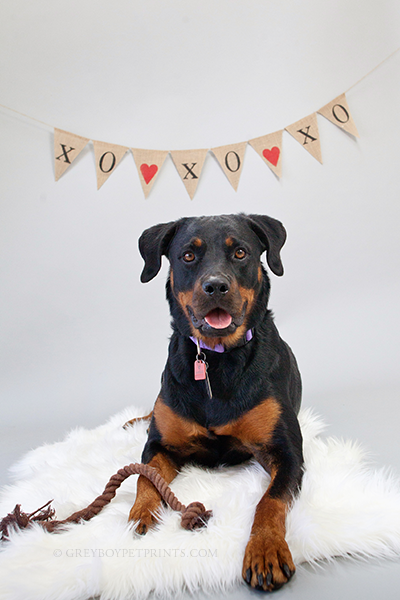 We have Valentine bandanas, rosettes, etc. to doll them up (or you’re welcome to bring your own accessories). It’s all fun and sweetness! Hope to see you there! 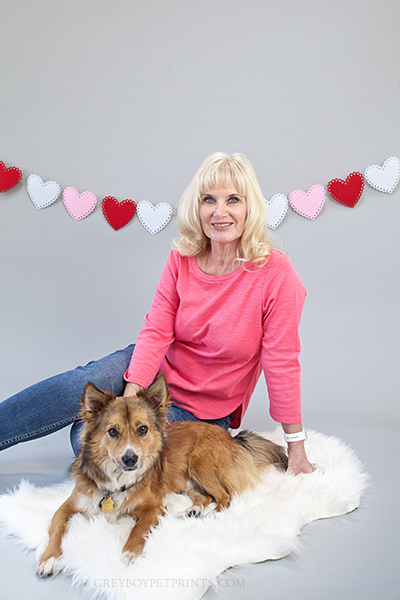 Valentine pet portrait appointments are limited, so please call Pet Suites at 949.425.0700 to see if they’ve got any spots left!